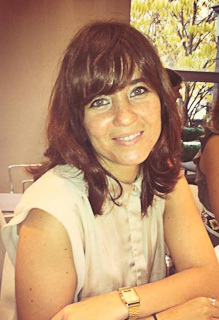 Fany de la Chica is an Andalusian filmmaker based in London. She completed an MA in Documentary at the Royal Holloway University of London. Her first short documentary ROUND TRIP was pre-selected for the Goya Awards. Her second documentary film ONE DAY IN SMARA screened in more than 30 international festivals and won several awards. At the moment, she is preparing her next documentary LAND OF OLIVE TREES.